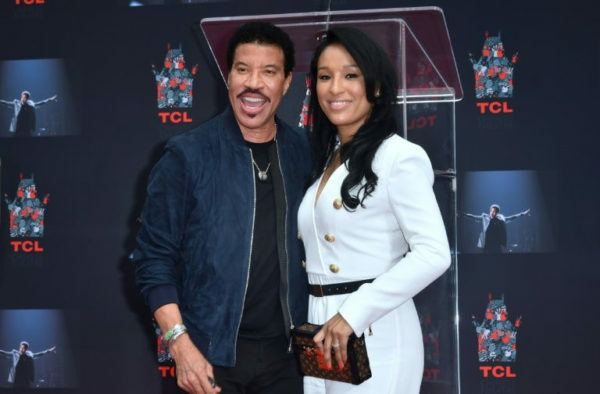 Hollywood honours Lionel Richie – Royal Times of Nigeria. Four-time Grammy winner Lionel Richie cemented his legacy in Hollywood Wednesday, plunging his feet and hands into a wet paving slab at the forecourt of the iconic TCL Chinese Theatre. The 68-year-old R&B singer, a former front man for Motown legends, The Commodores, has sold more than 100 million records over a career spanning six decades. “This is almost beyond the childhood dream,” Richie told AFP at the ceremony on Hollywood Boulevard, a time-honored tradition launched in the 1920s. He went on to write some of his most enduring songs for the group, including “Still,” “Sail On,” “Easy” and “Three Times a Lady,” which earned a 1979 American Music Award and a People’s Choice Award. He later wrote “Lady” for Kenny Rogers and had a huge hit alongside Diana Ross with “Endless Love,” which became the most successful single in Motown history, topping the US charts for nine weeks. He scored a major hit with “All Night Long,” and won an Oscar for “Say You, Say Me,” written for the film “White Nights.” His Grammys include the 1985 Song of the Year prize for “We Are the World,” co-written with Jackson. Richie managed a nine-year streak of writing at least one number one single a year — a feat matched only by Irving Berlin — enjoying much of his success internationally, with a particularly strong following in the Arab world. Despite the runaway success of “Hello,” Richie has said he came to resent being classified as a balladeer and chose simply to follow his artistic senses. “I developed into something that even I did not know who I was,” he said at a Songwriters Hall of Fame gala in New York in 2016. An avid gardener, Richie has said that if he weren’t a musician, he would be a landscape architect or interior designer.